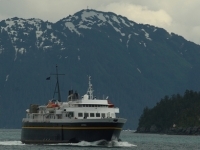 Alaskan cruises happily trade the warm blue waters of tropic destinations for the rugged scenery of craggy islands, jutting glaciers and forested coastline. Instead of open ocean, cruise ships weave through the Inner Passage, up the Gulf of Alaska and past scores of islands and inlets. 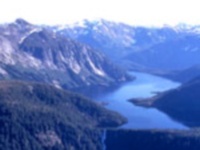 Cruise ships traverse a string of coastal cities which include Ketchikan, Skagway, Haines, Sitka and Juneau. Stacked together, their unique atmospheres make a diverse totem pole of cruise ports with Juneau at the top. Most ships will call port in Juneau, a unique state capital nestled into mountain steps and a narrow inlet. The small city is accustomed to water transportation as no roads lead in or out of the city. Cruise liners are berthed at one of three docks, all within an easy walk of a rustic and charming downtown area. Here, visitors can take a tramway up Mount Roberts to share an eagle's view of the city and landscape below. 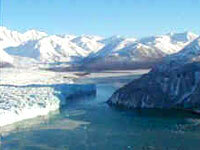 Visitors can also view scenery with whale watching tours starting from Juneau's waterfront. 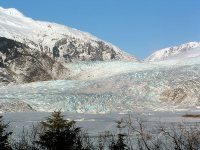 Those in port for longer stays can catch a ferry to Glacier Bay National Park to see 16 enormous glaciers cut into the land and sea. 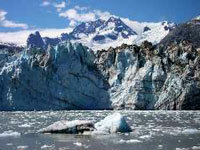 Others can visit Mendenhall Glacier, close to town.